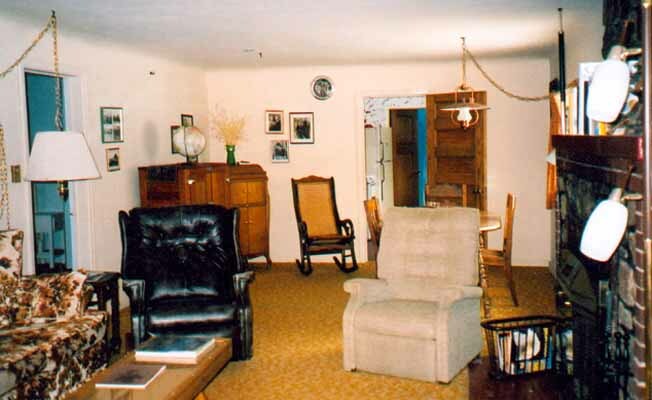 The Hammond Guest House is a well kept and comfortable old farm house located on the Hammond Ranch, in Greater Yellowstone Country. This very accessible spot is 65 miles from Billings on paved roads, and 35 miles from Red Lodge. Recreation opportunities are abundant in the area. The northeast entrance to Yellowstone Park is approximately 75 miles away. The ranch has a commanding view of the Beartooth Mountains and guests are welcome to walk the foothills and enjoy the scenery. The guest house contains 4 bedrooms, 2 bathrooms (sheets and towels supplied), full kitchen facilities, microwave, washer and dryer, satellite TV, DVD, and phone. Two nights is the minimum stay.